New years resolution#1: get back on the blogging bandwagon. 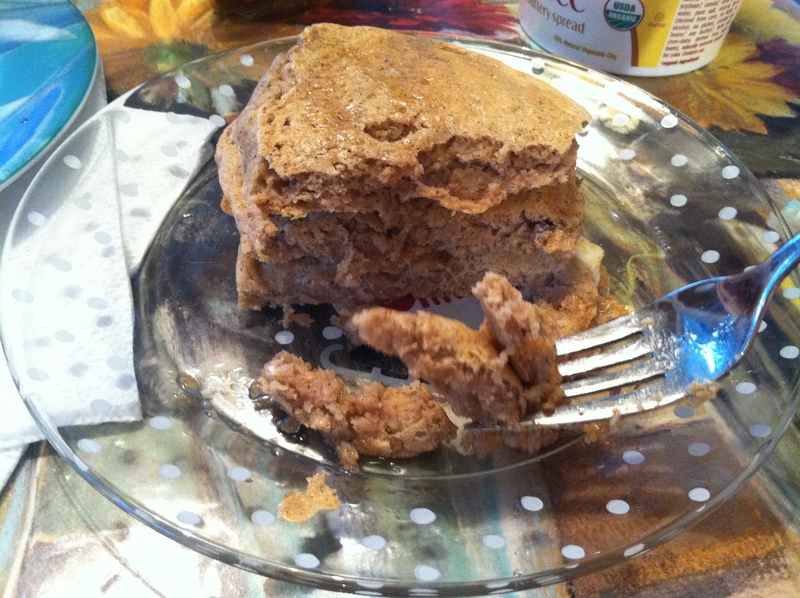 New years resolution #2: Make these pancakes at least once a week. They are fluffy clouds of pancake heaven and I have roommates to prove it. I veganized them by using two tbsp of ground flax-seed + six tbsp of water instead of the eggs, and I upped the sugar to one tbsp. I highly recommend topping them with earth balance and maple syrup. I need to share with you all a few important things. First, eggplant fries. I believe that any vegetable can be a “fry.” But when I make butternut squash fries, my arm gets sore and I’m lucky to keep all my fingers by the time I’m done cutting that monster into meticulous fry shapes. 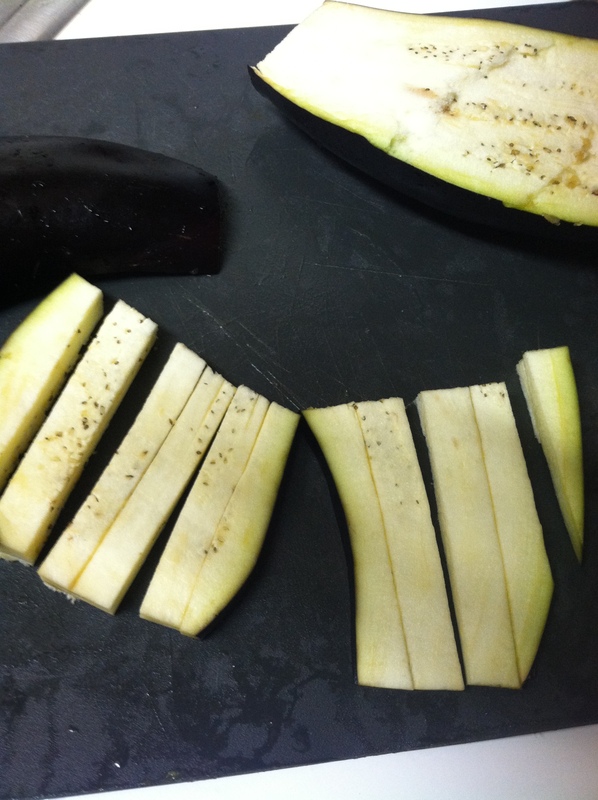 So, if you don’t need an arm workout, make eggplant fries instead. They cook way faster and they’re great with ketchup and mustard. But come on, what isn’t? I ate the whole eggplant. I encourage you to do the same. 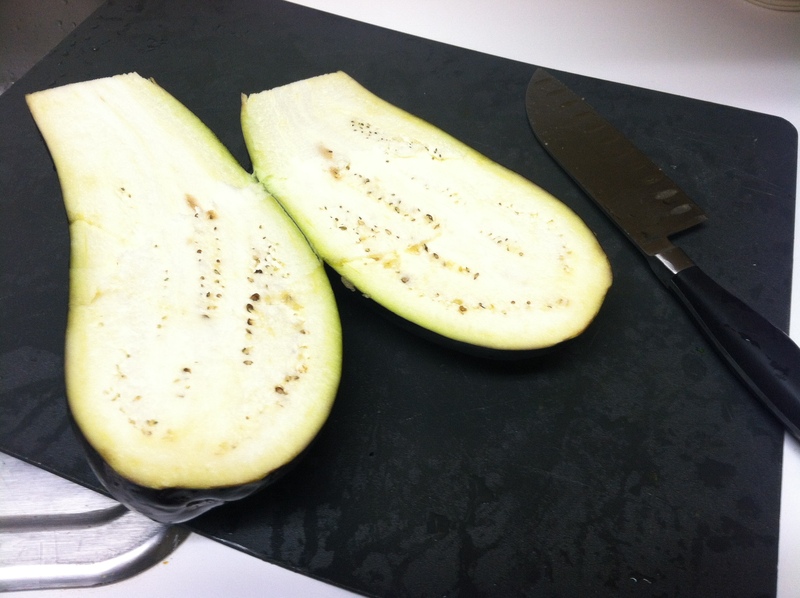 Slice off the ends of the eggplant. 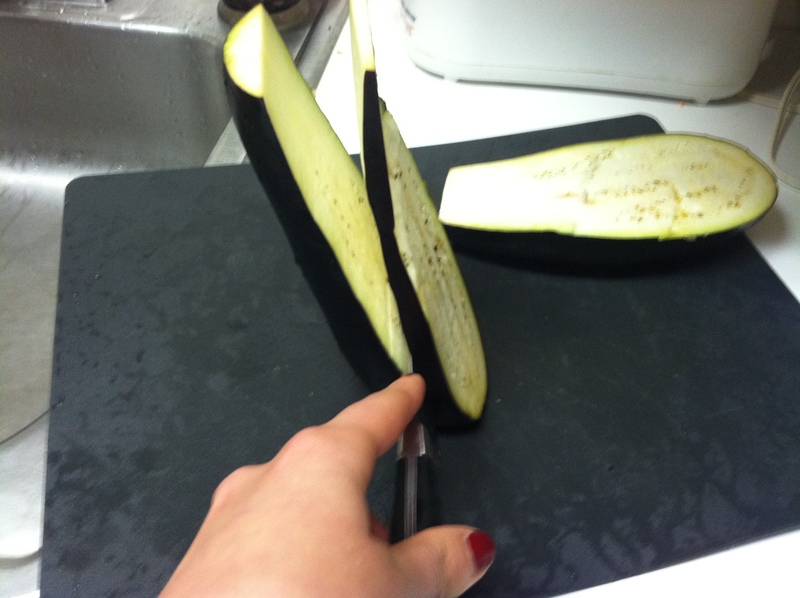 With the flat side down, slice the eggplant vertically into 1/4 inch slices. Then cut those large pieces in half. Cut halves into fry-like shapes. Place on sprayed baking sheet and spray once again. Bake at 400 degrees for about 15-20 minutes or until they look a bit spotted. They may need to be tossed around a bit halfway through baking. 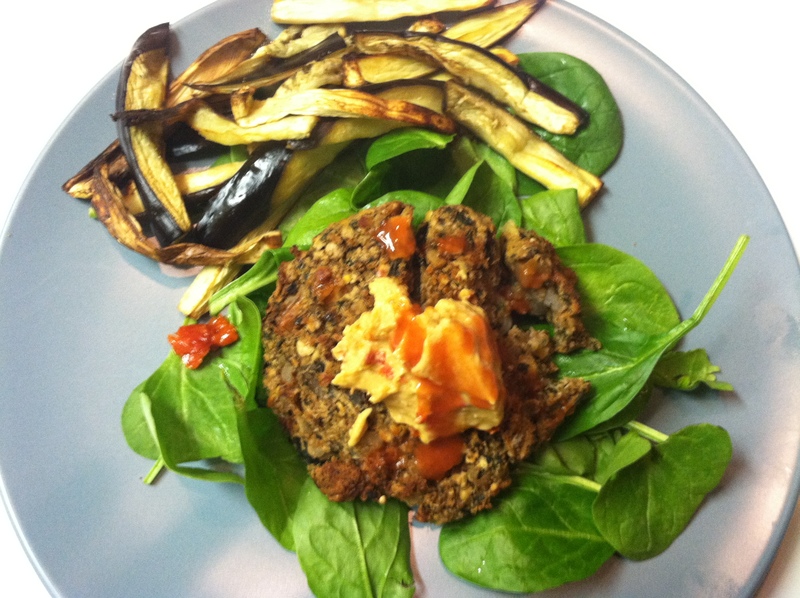 I ate mine with a red lentil burger smothered in hummus and hot sauce. I did change the recipe a bit based on what I had in the fridge. 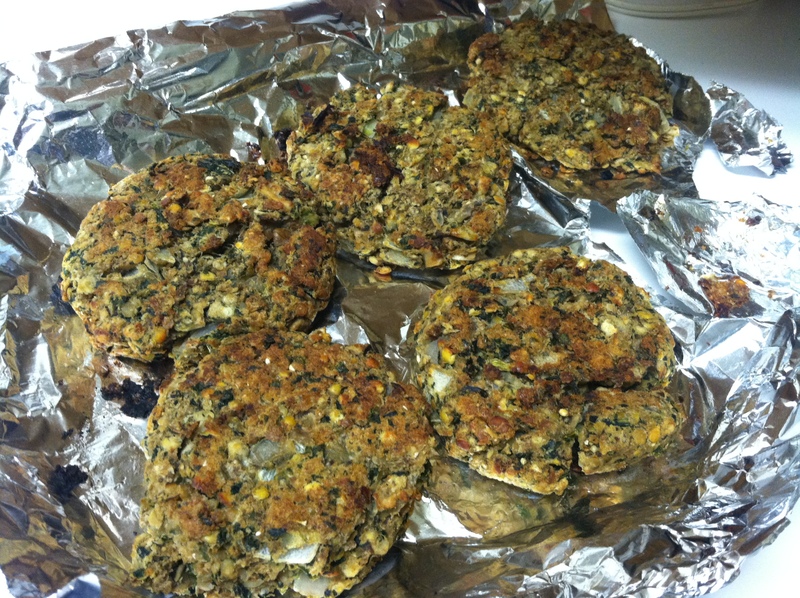 I sautéed a bunch of kale, spinach and onion instead of the carrots and celery, used 1/4 cup of walnuts instead of 1/2 cup, nixed the parsley, added a tbsp of ground flax-seed, and used two slices of ground up toasted Ezekiel bread for the bread crumbs. They turned out pretty tasty! I’ve seen prettier burgers in my day. If you haven’t already, check out this article! If you’re not social-networking impaired like me, you’ve probably seen it around.